What better way to get your hands on fragrances from Zara than these Duo Sets? I mean, you get x2 100mL Eau de Toilettes for only KD 6/900, which is actually pretty decent! Both Duo Sets were total blind-buys (purchased un-sniffed because… no testers). Just like Femme and AppleJuice (haulage here), all x4 Eau de Toilettes came in those cute chunky cube-shaped bottles (some were completely transparent, some were semi-transparent, while others were opaque). Based on the packaging, I surmised that these were going to be light and feminine fruity-florals. Mouthwateringly tart and citrus-y… at first. It quickly morphs into a floral, which surprisingly wasn’t offensive! Finally, it changes to a faint sweet musk-y sandalwood scent which I found quite pleasant! Despite being a floral, I thought Tuberose was pretty nice, throughout all its different stages! However, I’ve found that the longer it stays on my skin, the better it starts to smell! Again, it’s very, very light and inoffensive, so for those of you who are all loved up, Tuberose would be perfect for cuddling with your partner! Mostly, I really, really like Tuberose because it kinda’ gives me that “skittles in a bottle” vibe! First, it smells a bit obnoxious, like some sort of fruity bubblegum (possibly Peach, which I absolutely cannot stand in perfumes). Then it’s all floral, ugh. Then it morphs into a much more palatable vanilla scent. Once you get past the juvenile top notes, Wonder Rose slowly becomes less obnoxious. With that being said, you can totally find something similar from Bath & Body Works… or at least that’s the vibe I’m getting. It can get a bit headache-y at times, but I suspect that has more to do with the fact that I get triggered by the smell of Peaches/Apricots lol (can’t stand the stuff). Initially, I wasn’t feeling it, but after wearing it out and about several times now, Wonder Rose is slowly but surely starting to grow on me! Based on the packaging, I guessed hoped that these would be dark and smoky vanilla-based orientals. Despite the name, I don’t find this to be an overly sweet scent. 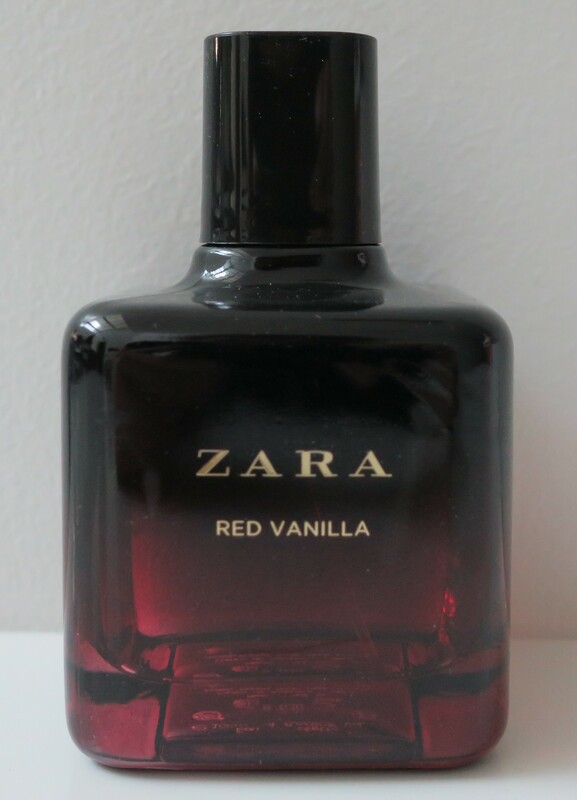 In fact, it doesn’t even smell like Vanilla to me… more like Vanilla’s second cousin twice removed. On my skin, it actually smells like flowers mixed with the smell of Vapo-Rub or something kinda’ Christmas-y, maybe even in the Mint family. Shortly after, a distinctly soap-y scent (possibly Iris) reveals itself, which I kinda’ don’t hate. Red Vanilla smells lovely (actually sweet) in the air, but on my skin, sadly, it’s a complete mess! I’m glad I have it though (to experiment with and such), because it is an interesting scent, but I’ll have to play around with it some more to find out what works best. 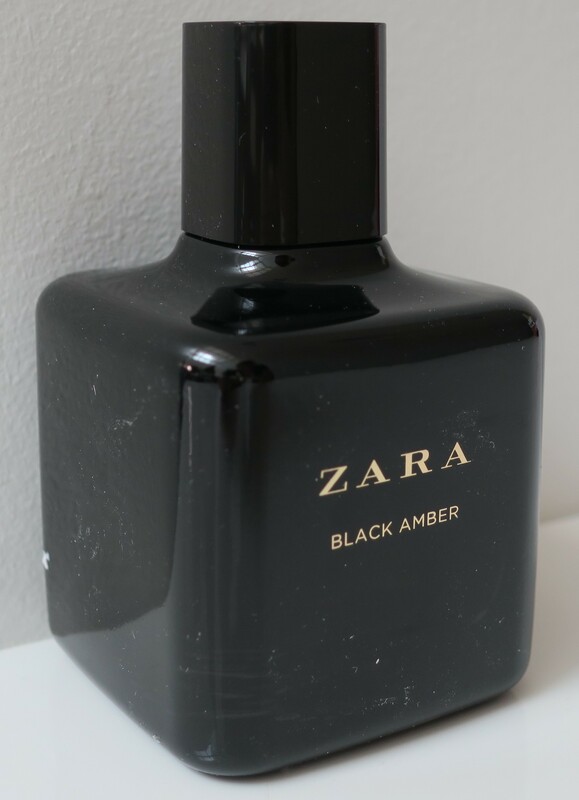 According to people, Black Amber is a spot-on dupe for Dolce & Gabbana – The One which I can neither confirm nor deny (despite sniffing it several times at Sephora, I keep forgetting what it smells like, but I was never flat-out repulsed, as I was with Black Amber). I don’t foresee this ever growing on me and I’m not even interested in “experimenting” with it. I hate Black Amber. I hate it! Belying the name and packaging (even the box was actually textured which I thought was pretty cool), Nuit is a very soft and chaste powder-y floral scent. I can imagine Nuit was intended to be a dupe of one of the many powder-y Narciso Rodriguez Perfumes (can’t say which one for sure, because I’m not a fan). On my skin, Lily of the Valley is quite prominent, with a dash of something nutty (I wanna say Argan Oil) in there. There’s also a leather note that reminds me of the smell of a new car. Sadly, there’s nothing remotely sweet in this Perfume. In fact, I actually detect a faint sour note. Basically, Nuit smells like you up-ended a whole bottle of Johnson’s Baby Powder over a bouquet of Lily of the Valley and spilled some Argan Oil all over it. Despite all that, I’m actually glad I got Nuit because I now have the chance to experiment with one of those singularly and purely powdery perfumes that a lot of women seem to enjoy, and all for a fraction of the price of an actual Narciso Rodriguez perfume! With a promising name like Pink Flambé and cute packaging (larger version of those cube-shaped bottles), how could I not pick this up? That said, I purchased the 200mL bottle because it was the only size available at the store I was in. On my skin, Pink Flambé can sometimes smells like Fruit Punch (blech), but on my clothes and in the air (when I walk by where I’ve just sprayed it on), it smells absolutely glorious! The Bergamot and Lemon smell all zesty and uplifting while the Sorbet makes it smell sweet and the Cashmeran gives it a musky, almost masculine vibe. All in all, it’s a musky fruit scent (that can be a bit obnoxious, at times) but for the most part, I like it! The Pink Collection consisted of Tempting Rose (as shown) and Frosted Cream (as shown) and Fizzy Pink (which I skipped, because it was too floral for me). Basically, the packaging is what got me (everything was all pink and cute)! You could totally re-purpose the boxes for storage or whatever and how adorbs are the actual bottles (down to the contrasting black atomizers, nice touch)! They had testers for all three, but it was way past closing time (they even had to open up the back-door entrance to the store, that led directly to the parking lot, for me lol) and therefore more than a bit chaotic. In all the confusion, I must’ve sniffed Frosted Cream twice and probably asked them to set it aside, twice, hence the backup. It’s ok though, because I exchanged it at another branch of Zara (Marina Mall) for two more fragrances, shortly after. It opens up with deliciously citrus-y berries, but quickly turns into an offensive floral. Typically, I tend to enjoy most Rose scents, but certain kinds, I don’t like. This is one of them. I mean, I knew it was going to contain some form of Rose, from the name, but I was expecting something sweeter (possibly more powdery as well). It’s not bad, but I was expecting something… nicer. People tout it as a possible dupe for Yves Saint Laurent – Black Opium, but it’s really not and they’re probably just saying that because both Perfumes include notes of Coffee. With that being said, the Coffee only makes an appearance towards the very end, and even then, it’s quite faint. I’ll have to play around with Tempting Rose some more before coming to a decision, but the way things are looking, it’s just too floral for my taste. Again, it’s not a bad scent per say. It’s just not my taste. Frosted Cream is undeniably a gourmand (despite being listed as a fruity floral)! I’m definitely smelling Rose Water in this baby too. Initially, I was thinking Frosted Cream was probably a dupe for Burberry – Her (sampled here) or Hanae Mori -Butterfly (sampled here), but after spritzing all three and comparing them to each other, Burberry – Her is extremely sweeter and Hanae Mori – Butterfly is more floral and powdery. Frosted Cream smells more like baked goods. In fact, I’d classify it as “Macarons in a bottle” and therefore, an instant like! Oriental Delice Eau de Parfum Intense and Oriental Gourmand Eau de Parfum Intense (Oriental Collection). 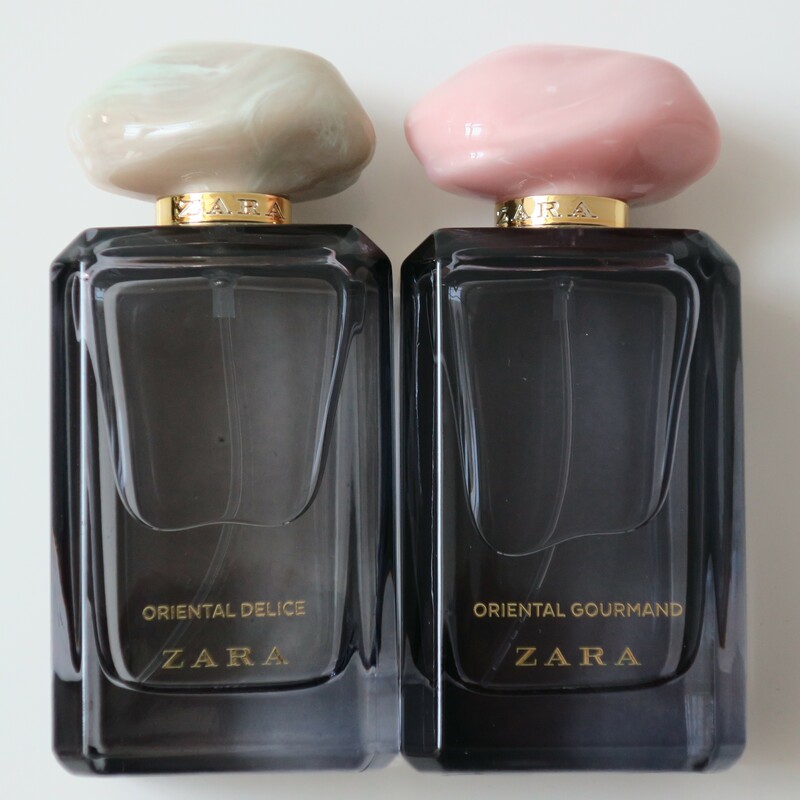 The Oriental Collection consisted of only these two; Oriental Delice and Oriental Gourmand. These babies were firmly lodged in their plastic encasing and getting them out was a nightmare (the struggle lol)! The boxes were pretty banged up and they both had exactly the same gibberish (the stone blah blah blah) written on the back (totally trashing them after this post). However, the bottles, or rather the stone caps on the bottles, are blatant rip-offs the Armani Prive Collection. 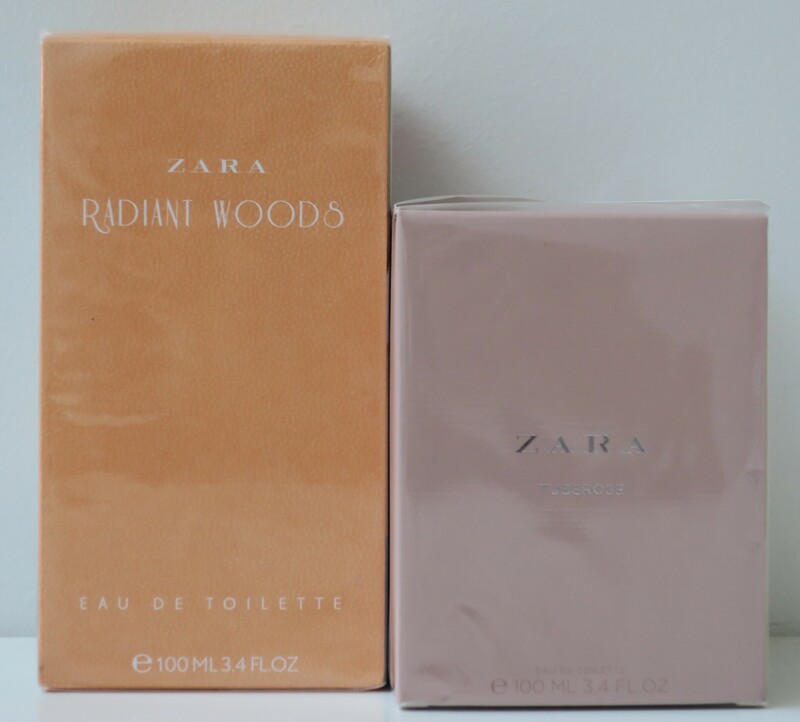 Jeez, Zara… y’all are shameless lol Also, the lasting power on both of these Eau de Parfums Intense is abysmal (completely gone in under 30 minutes). It’s touted as a dupe for Yves Saint Laurent – Black Opium and I must say, I can actually detect the similarities, at first. The dry-down on both is very different, but I don’t actually own Black Opium (only a sample, which smells significantly sweeter) so I can’t be more specific. 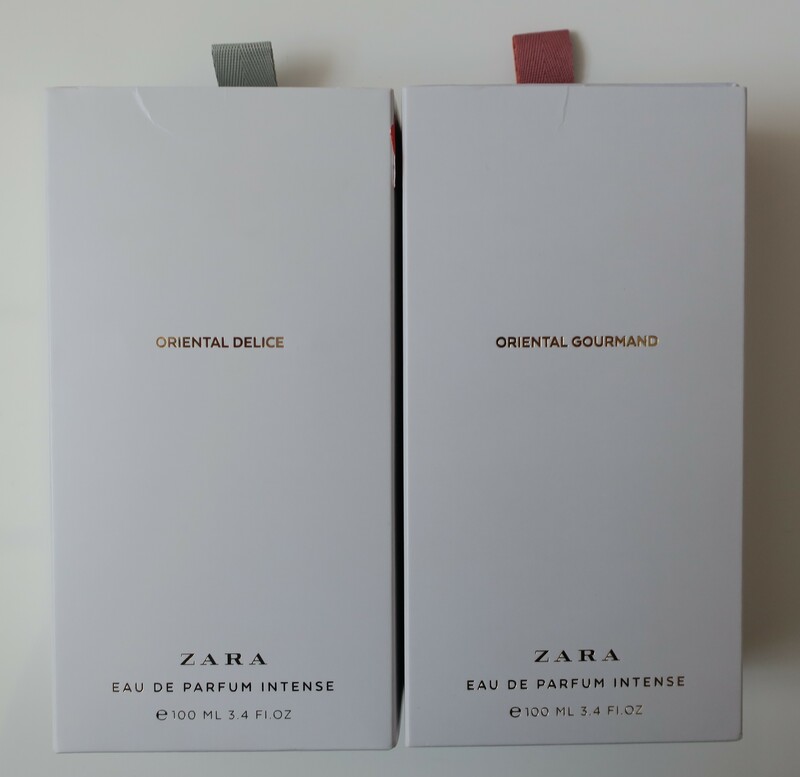 Still, if you wanna’ get your hands on it for a fraction of the price, Oriental Delice is the way to go, keeping in mind that you get what you pay for and the scent is considerably watered down in this version and also, they’re not identical. Again, I could swear I smell Rose Water. I’m starting to detect a pattern here. 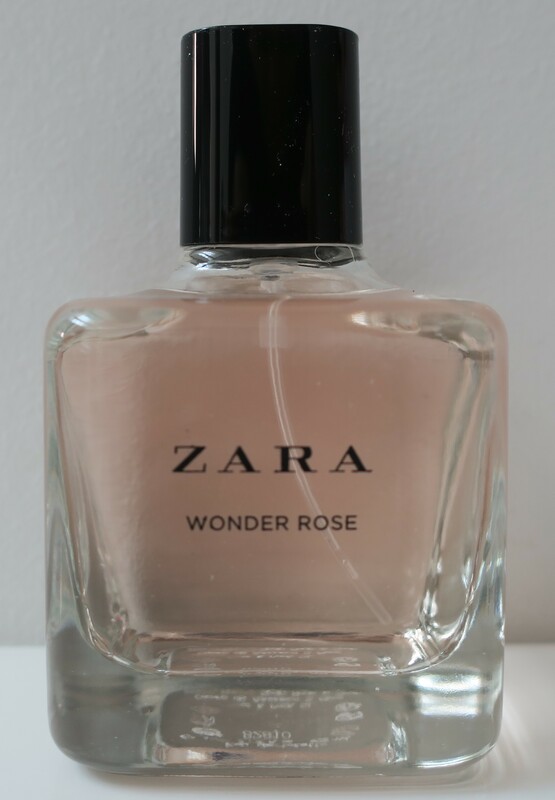 Zara Fragrances seem to include the same notes, only in slightly different compositions lol I can’t decide whether this is a Floral or a Fruity Floral because either way, the scent is very, very faint and completely gone within 30 minutes. That said, once I washed it off my hands (thoroughly because… OCD) I could still detect faints traces of intoxicating Musk, that wasn’t traceable earlier, cementing its place as an Oriental. I’ll have to play around with it some more to discover all its nuances. The Collection included Amazonia Tree and Bushy Gardens and Fields at Nightfall and Fleur de Baobab all of which I’m assuming, based on the names, were full-on florals. All of them were available, but not all of them had testers. Fleur de Baobab although clearly a floral (I’m gonna’ go out on a limb here and say that it includes some form of Aldehyde in there), strongly appealed to me, for some reason. Looking at the notes now, I’m pretty sure it’s because of the Sea Salt Notes. I suppose if I had to compare it to anything, I’d have to go with the only other fragrance that has Salt Notes (that I know of and that I’ve sniffed) which was Paco Rabanne – Olympea (sampled here). However, where Olympea has an element of powdery sweetness to it (making the dry-down gorgeous), Fleur de Baobab has a strong almost sour note in it (possibly White Florals). To put things in perspective, even Cartier – La Panthere (haulage here) smelled sweeter in comparison to Fleur de Baobab. The outer packaging can totally be re-purposed for storage or whatever, but I find the actual packaging of the perfume bottle itself… silly. We’ve already established that I find the leather tea-cozy “look” (previously packaged on Zara Cashmere Rose) quite cute! However, this version is textured and although it looks kinda’ cool, I can’t actually read the name of the Perfume. All in all, I don’t love Fleur de Baobab, but it is an interesting scent and I’m glad I have it, to experiment and play around with. The Naturals was a collection that embraces natural ingredients and consisted of 4 Eau de Parfums; Cardamom (Gender Neutral) which I actually spotted at Zara and sniffed and loved, but for some reason I cannot fathom, didn’t purchase, and Osmanthus (Tales of Femininity) which I didn’t like and Vanilla (French Elegance) which was… too vanilla lol and Vetiver (Unexpected) which I really liked and therefore, purchased on the spot. Check out the white wooden cap on this baby! So cool! The Floral Collection consisted of 4 Perfumes; Bitter Orange (as shown) and Deep Garden and Lightly Bloom and Morning Grasse and I do believe I spotted all of them, but unfortunately there were no testers and as such, I went with the safest best. The packaging totally reminds me of the GP & J BAKER x H&M Chinoiserie Prints (haulage here)! It’s textured and everything! So cool! I’m definitely gonna’ re-purpose the box for storing my smaller knick-knacks. Unfortunately, the perfume bottle itself is less interesting and the scent even less so. Bitter Orange starts off all citrus-y and uplifting, but quickly morphs into a baby powder scent, with a healthy dose of Orange Blossom. Overall, it smells quite medicinal, if I’m being honest. In the air, it smells quite lotion-y, like Nivea Creme or something along those lines. Definitely not what I was expecting lol Not a hint of bitter anything, really. I could see myself getting irritated by the Musk, in the long-run. Do not like. Oriental Fragrance for Women – Features Red Berries, Lily, Praline – Launched in ? The Collection included Black (Dark Grey Packaging) and Rose (Light Pink Packaging) and White (Light Grey Packaging) and Lily Pad (Teal Packaging). Unfortunately, I didn’t realize it at the time, but the Fragrances with this particular packaging don’t come with a cap (annoying). Still, they do look pretty cute (albeit juvenile and if I’m being honest… cheap). When I first spritzed it on, it smelled gorgeous! I could almost swear it was a dupe of Dolce & Gabbana – Dolce Garden (sampled here). Something about the citrusy-ness of the Red Berries and clean freshness of the Lily and sweetness of the Praline registers as tropical to my nose. In fact, I even smell sweet Coconuts in there (even though it’s not listed). However, after comparing it to a sample of the real thing, it turns out that D&G – Dolce Garden is far more superior (obvi)! Lily Pad is definitely a beautiful sweet tropical scent, which unfortunately is completely gone almost as soon as I’d spritz it on! All I get are very faint whiffs of it and I truly wish it was stronger and lasted longer! The 2018 Capsule Collection consisted of Where Is My Romeo (as shown) and 90’s Fashionista (cringe-y name lol and way too sweet and juvenile) and Talent Inside (no tester). To coincide with Women’s Collection, there was a Men’s Slogan Collection that consisted of Where is my Juliet and Comme d’Habitude and Destination Mars. Out of the two that I sniffed, Where Is My Romeo seemed more appealing in-store. However, once I sprayed it on at home, it smelled very young (read: juvenile) and too fruity. In fact, it smelled more like a Strawberry Body Splash or something along those lines. Basically, it smells like something you can easily find at Bath & Body Works, or even Boots for that matter. I don’t love it, but I don’t hate it either. It’s cute, I suppose. I picked this up on a whim (the name got me)! Again, I only purchased the 200mL size, because it was the only size available in-store. It’s yet another floral scent, but it’s not horrible. In fact, it strongly reminds me of another distinctly floral scent that I actually like (possibly something from Chanel)! It just smells “expensive” like that. I feel like Dear Iris is “girl-pretty” (meaning it would appeal mostly to females). Typically, I don’t enjoy floral-y florals (I know, I know, I have a gift, with words) but Dear Iris just smells so appealing to me! I’m really happy with it! 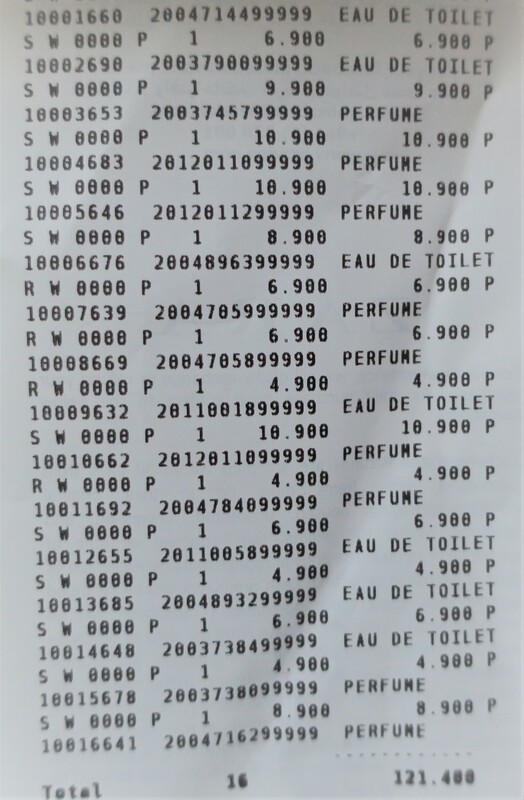 I figured since I’d practically bought all the fragrances in the entire store, what was one more, ay? So I snatched up Oud because… well… Oud. It smells appropriately dark and smoky but once it dries down, I get the most delightful faint whiffs of Vanilla! Despite the fact that it’s an Eau de Toilette, the lasting power on this baby is insane! Good job, Zara! It’s quite intense, so, I’d suggest spraying it on at least an hour or two, before you get to wherever you need to get to (so it gets enough time to dry down a bit and mellow out) and even then, only a spritz or two as any more would be overkill. I believe the term “Beast-Mode” describes this scent perfectly! I spent a total of KD 121/400 on all of the above, but once I took pics of them for this post and realized I’d accidentally gotten a back-up, went to exchange it, first chance I got. Aside from the Tuberose that came in the Duo Set mentioned above (start of this post), I accidentally picked up another one lol Thankfully, I actually really like the scent! I hadn’t seen this one at Souq Sharq! The artwork on the packaging drew me in, but the name Radiant Woods hooked me! One of the dominant notes in Radiant Woods strongly reminds me of my beloved Dolce & Gabbana – Light Blue (reviewed here), but I can’t quite place it. Maybe it’s the composition? I think they more or less have sorta’ the same composition with the head notes being fruits, the heart notes being fresh florals tempered with a musk-y woodsy base. Out of all the “dupes” in this post, this one is definitely the closest and I would know because I’m constantly repurchasing D&G Light Blue (most recent haulage here). Also, not only does Radiant Woods garner a lot of compliments from all the males in life (friends, family, co-workers and such), but they don’t even mind being spritzed with it, which leads me to believe that although it’s marketed for females, Radiant Woods is definitely a unisex fragrance. Honestly, I only bought it because it had “woods” in the name and I’m very partial to woodsy scents, but Radiant Woods turned out to be such an unexpectedly delightful surprise! Radiant Woods is unquestionably a dupe of Dolce&Gabbana Light Blue… for a fraction of the price! I don’t love Tempting Rose and Fleur de Baobab because they’re both undeniably floral. However, they’re still pretty wearable. Dear Iris which is another straight up floral, however, is quickly growing on me, as I find myself actually enjoying it! 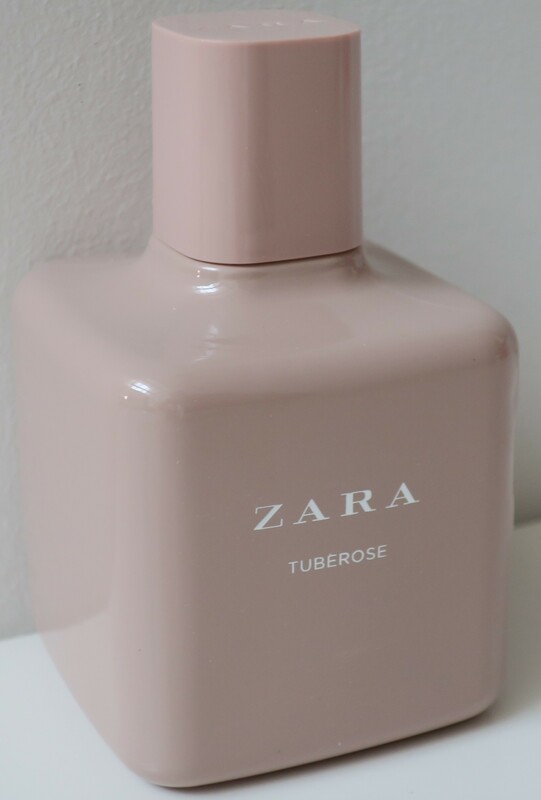 Tuberose, I enjoyed from the start! As for Wonder Rose and Oriental Gourmand and Pink Flambe, I needed some time to learn to appreciate them. I go through these phases, where sometimes I’ll find Wonder Rose and Oriental Gourmand too fruity and Pink Flambe too musky, and then sometimes I’ll find all of them to be quite nice! Tuberose is just lovely from start to finish! Lily Pad, I love! Where Is My Romeo, less so, as I find it too Bath & Body Works (yeah, I’m using that as a description now, get on-board) and juvenile at times. They both seem tropical, but Where is my Romeo is more Mango-y, whereas Lily Pad is more Coconut-y (to me). Oriental Delice smells gorgeous! Frosted Cream has a very light scent of a baked confectionery! Vetiver (Unexpected) is a gorgeous masculine scent (I mean only men can pull it off successfully), but I’m nothing if not a rebel, so, I shall continue to wear it. Oud was a nice take on traditional Oud and I can foresee it coming in handy during the upcoming Ramadan. Radiant Woods is as close of a dupe to my beloved D&G – Light Blue as I’ve ever come across, which is why it’s my favorite in this entire haul! Still no clue what Red Vanilla is all about, while Nuit (definitely a different kind of floral) is something completely new to me (singularly powdery), but I’m happy I got them and so down for some “experimenting”. Bitter Orange smells irritating (way too musky) whereas Black Amber smells like… death. Red Vanilla (like, seriously, what are you?) and Fleur de Baobab (Sea Salt Notes!) and Dear Iris (because despite being a floral, smells so good and kinda’ reminds me of another fragrance that I can’t quite place at the mo’) and Nuit (purely for the fact that it’s a singularly powdery scent and I have nothing like it in my current collection). *Phew* This was a seriously exhausting post. Hope you enjoy it and maybe even find it useful!